Certified Polarity Wellness Educators and/or APTA-Registered Polarity Practitioners. 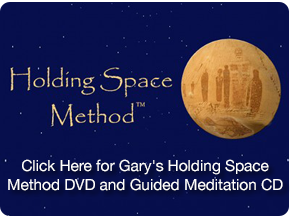 Gary continues to inspire the healing arts community with his approach to well being restoration, honoring the wisdom within and instruction through alignment. His crafted method of Holding Space™ for the client, classroom and practitioner, has stemmed from 30 plus years of experience in energy medicine, nutrition, and natural healing. Those related walk away with an empowerment so personal and self sewn; it’s as if Gary has known them all their lives. He is an incredible and articulate intuitive whose presence and openness allows for transformation, regardless of the relationship. Just ask the thousands he has trained and mentored internationally and in the U.S.
His Polarity Therapy and Cranial Sacral Unwinding programs are offered through IPSB at Life Energy Institute in Culver City, California, The Southwest Institute of Healing Arts (SWIHA, Arizona) The Energy Open Center (Kobe, Japan) and The Open Center (NYC). Tracy has been practicing in the healing arts since 1988. She is a graduate of the Institute of Psycho Structural Balancing, where she also teaches. Tracy utilizes and weaves her training in the martial arts, massage therapy, yoga, psychic tools and essential oils into her classes, offering a diverse, integrative and practical approach to his work. Tracy is greatly devoted to sharing her knowledge with others for the purpose of personal deepening and connection to their own inner wisdom. She is dedicated to bringing this work out into the world and provides the environment to assist others in their quest for growth and healing. Tracy also serves as Certified Dream Coach™ and Certified Soul Coach™. Senior Instructor James Arena has been practicing Polarity Therapy since 1979. He began his search for alternative and deeper healing when challenged with his own health issues and found Polarity Therapy to be the most effective method of self healing. His studies have included Emotional Anatomy, Polarity Cranial-Sacral Therapy and specializes in “voice-dialogue”, which reaches interior conflicts to create resolution and natural harmony. James has been features on several health talk radio programs nation wide and his special and unique approach to this healing art spans to over 25 years of service. “I began my interest in Polarity Therapy in the summer of 1979 when I was living in Seattle. Working in a health food store, one of my fellow employees was living in a Polarity house, where a number Polarity practitioners lived. In the store one day, she started doing these strange exercises to get energy back from being tired all day. She made loud “Ha!” sounds that freaked me out and made me laugh. So I chimed right in and did them with her. I immediately felt terrific and happy for some reason! I then began my journey into the world of Polarity and have been involved in it ever since. Continuing my studies at the Orcas Institute of Polarity, we did strange things to our bodies such as drinking wheatgrass juice, saltwater fasts, intense Polarity exercises, energy balance massages and life issue therapy. It was there that I experienced the most intense, heart-wrenching, and incredibly transformative events of my life. “I have studied and taken over 4000 hours of different Polarity and human somatic education, understanding how life shapes us. I have seen so many healings in my own life from the principles and teachings of Polarity and Dr. Stone’s journey through the mystical. John Beaulieu, N.D., Ph.D., is one of the foremost philosophers and major innovators in the area of sound healing therapies. A world-renowned speaker, composer, pianist, and naturopathic doctor, Dr. Beaulieu has pioneered a technique called BioSonic Repatterning™, a natural method of healing and consciousness development using tuning forks and other sound modalities based on the sonic ratios inherent in nature. As the founder of BioSonic Enterprises, he has developed and distributed over 50 different sound healing-related products including tuning forks, instructional videos, audio programs, CDs and books. Dr. Beaulieu is the groundbreaking author of Music and Sound in the Healing Arts and the composer/producer of Calendula: A Suite for Pythagorean Tuning Forks, a CD designed to physically align your body and create a deep relaxed state of awareness. He lectures and performs worldwide and conducts training seminars for practitioners in the healing arts. Lynn has studied Life Energy, Polarity and Craniosacral Unwinding intensively since 1997. She has assisted hudreds of students in Craniosacral Unwinding classes and retreats in Los Angeles and Hawaii, and she has actively participated as a teaching assistant since 1999, in Los Angeles, Hawaii, British Columbia and Switzerland. More recently, she has been co-teaching the Teacher Training programs in Los Angeles and Arizona. Pat Brown has been doing bodywork since 1990. Pat is dedicated to providing a safe learning space for people to come and experience energy, personal growth, and their inner truth. It is her love of the work and deep respect for the healing process that she brings to the classroom to share. Mary Hardin first came to Polarity and Craniosacral Unwinding as a client in the early 90s. After experiencing a particularly transformative session, she enrolled in her first Polarity class in 1998 “to find out what this was all about…” and she hasn’t stopped. Mary maintains a private practice in Polarity and Craniosacral Therapy. One of her passions is helping people reconnect to their spirit to remember who they are and find their alignment between Heaven and Earth. For the last 20 years her studies in the healing arts have included, acupressure, homeopathy, nutrition, mind-body therapies, as well as Hatha and Tantric yoga. Heather is a journeyman of the old ways. Dedicated to teaching within the paradigm of the Four Directions and the Five Elements, she weaves the understandings of Physical Science of our Modern world with the fabric of the most ancient knowings and teachings. She is the founder of the Yoga and Polarity Center in New York, the co-founder and director of Ultrasonic Core Group, an advanced training for Spiritual Energyworkers, and teaches on the Staff of Sivananda Yoga Ashram and Interfaith Ministers.